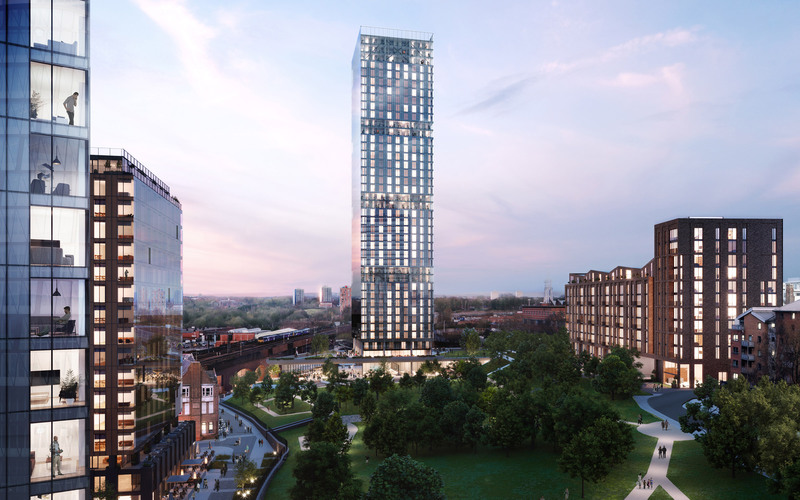 Our plans for Angel Meadow, one of the most significant residential schemes yet for Manchester, have been approved by the City Council. 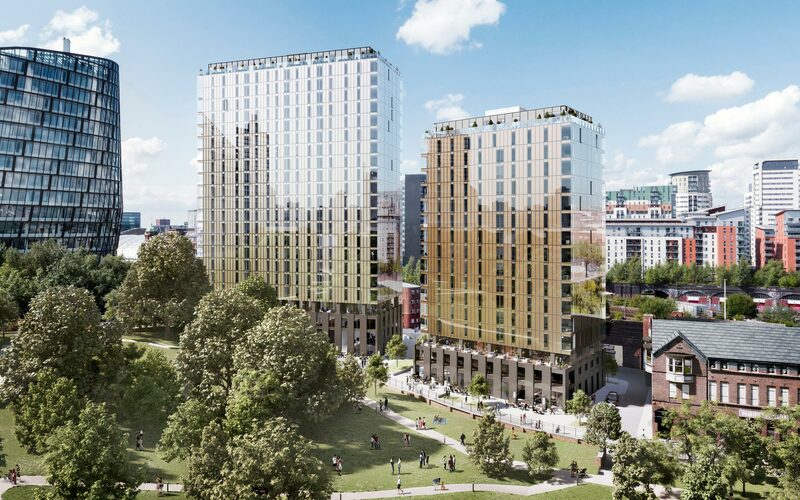 We are incredibly proud to be part of the team delivering the project and believe our designs for four independent but complementary buildings set around the park will re-invigorate this historic part of the city. It will be a new neighbourhood of spacious, well-considered apartments and town houses with the improved green space at its heart. 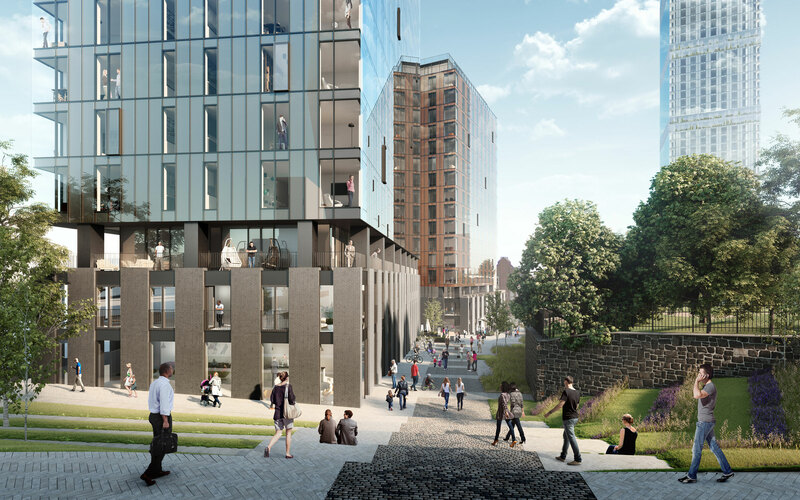 New routes and improved access will reconnect the area to the NOMA estate and wider city with new retail and leisure facilities creating street level activity all round. The project, for Far East Consortium, will provide 756 high quality new homes and construction is due to begin early in 2018. 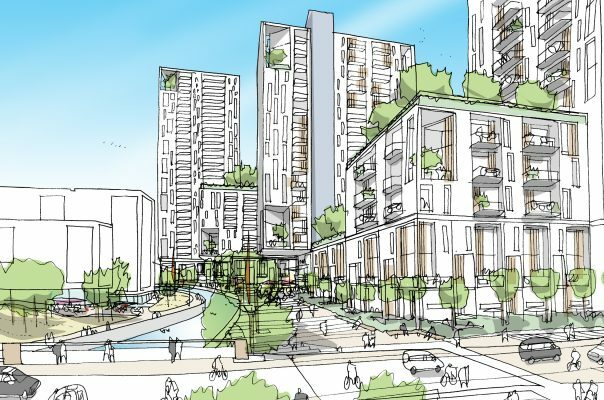 The consent takes the total number of residential units designed by 5plus, either on site or with planning, to 4,000 across multiple sites in Greater Manchester.